Those of you lucky enough to already have a new Nintendo Switch games console, may be interested in a new project which has been published by Imgur user “tettzan” which transforms a broken Nintendo 64 unit into a fantastically unique Switch dock. Unfortunately due to the style of the modification and the design of the retro Nintendo 64 console the Joy-Con controllers cannot be attached to the main Switch screen as in the standard dock, disabling the ability for them to charge. 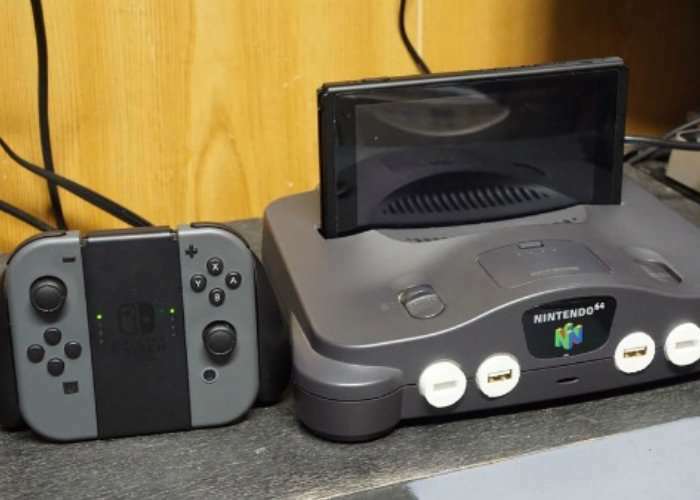 But this seems a small inconvenience for such an original Switch dock system. Jump over to Imgur via the link below to view more details on the build process and how the modder swapped out the controller ports for USB ports. Apparently, there is also plenty of room between the slot and the edges meaning that the scratching problems of the Nintendo designed dock are not inherent with this modified version.